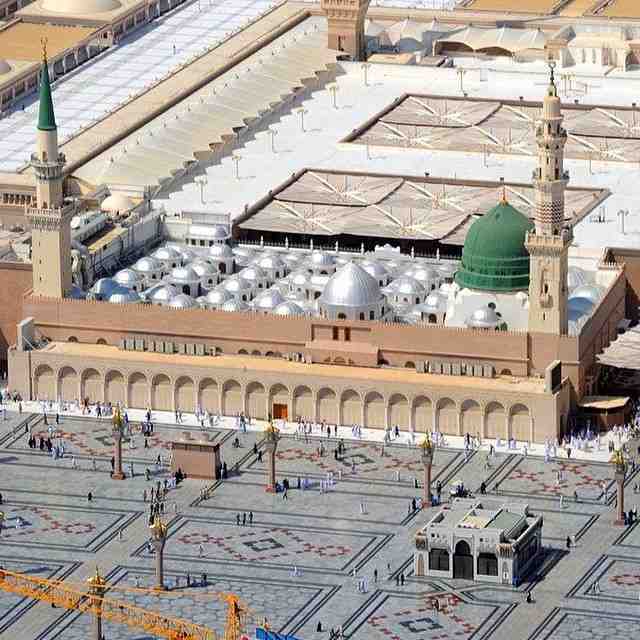 You do we worship, and Your aid do we seek. 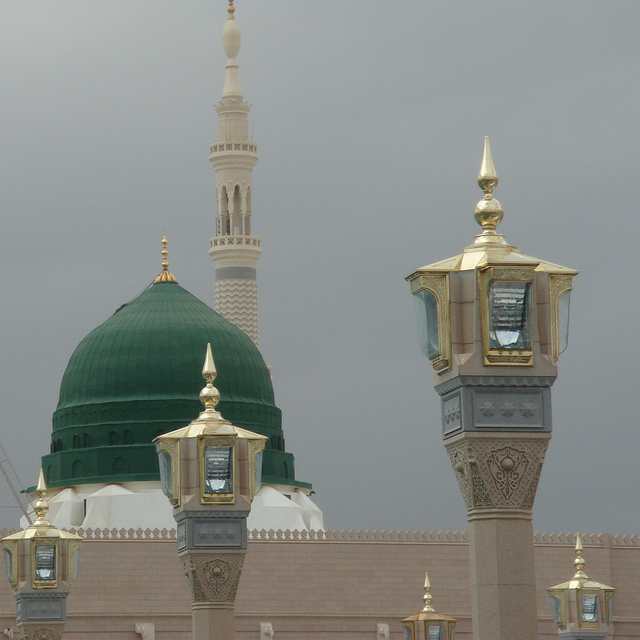 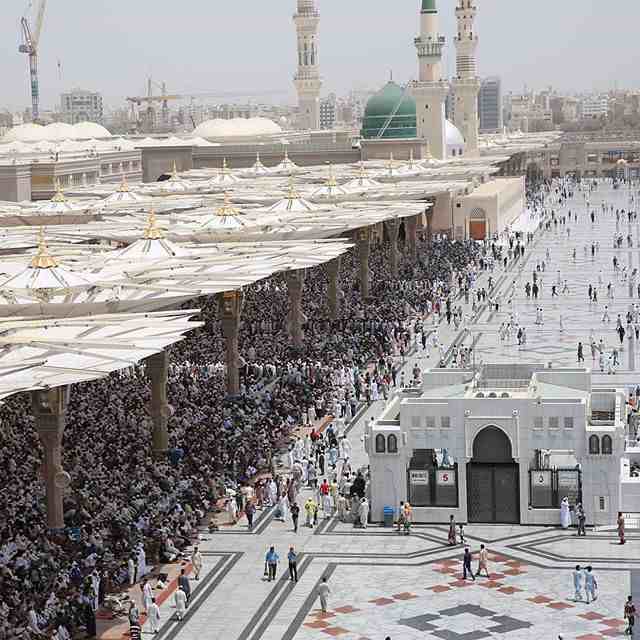 The Prophet’s Mosque found in Madinah is the second holiest mosque and one of the largest in the world. 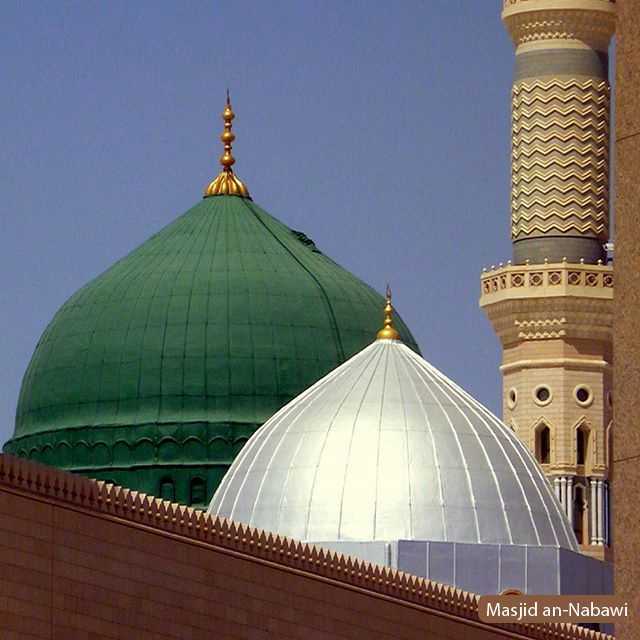 One of the two most important features of the mosque is that the location of the tombs of Prophet Muhammad (peace and blessings be upon him), Caliph Abu Bakr, and Caliph Umar (may Allah be pleased with the both of them) are within the Green Dome at the center of the mosque. 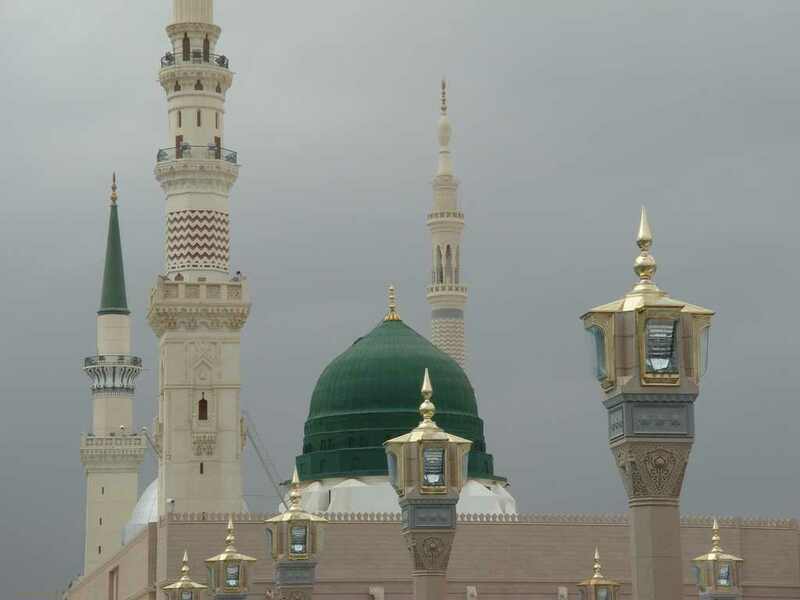 The other important feature of the mosque is that the reward granted by Allah (the Glorified and Exalted) for prayers performed at this mosque is 1,000 that of any other mosque in the world, excluding Masjid Al-Haram in Mecca and Masjid Al-Aqsa in Jerusalem.